WASHINGTON, D.C., February 27, 2018 – A new report finds a deeply troubling retirement outlook for the Millennial generation. Most Millennials have nothing saved for retirement, and those who are saving aren’t saving nearly enough. The report indicates that many factors are contributing to this generation’s retirement savings challenges – from depressed wages to the lack of eligibility to participate in employer retirement plans. More specifically, the analysis finds that 66 percent of working Millennials have nothing saved for retirement, and the situation is far worse for working Millennial Latinos. Some 83 percent of Latinos in this generation have nothing saved for retirement. These findings are contained in new research from the National Institute on Retirement Security (NIRS), Millennials and Retirement: Already Falling Short, authored by Jennifer Brown, NIRS manager of research. The report indicates that just a little more than one-third of this generation actually participates in employer-sponsored plans despite the fact that two-thirds of Millennials work for employers that offer retirement plans. The eligibility requirements set by employers, which keep 45 percent of working Millennials out of plans, drives this coverage gap rather than workers choosing not to save for retirement. “Financial experts recommend that Millennials set aside 15 percent or more of their salary for retirement, which is a much higher rule of thumb than recommendations for previous generations. But we find that Millennials’ average retirement savings rate, including employers’ matching contributions, is ten percent of their salary,” Brown explained. “Two thirds of Millennials are concerned about outliving their retirement savings. More than nine out of ten Millennials agree that the nation’s retirement system is under stress and needs reform. Public policies that could be implemented now to improve Millennials’ retirement outlook include expanding retirement plan eligibility for part-time workers and increasing default contribution rates.” Brown added. Two-thirds (66.2%) of working Millennials have nothing saved for retirement. This situation is far worse for working Millennial Latinos as 83 percent have nothing saved for retirement. Using the recommendations of financial experts, only five percent of working Millennials are saving adequately for retirement. Even though two-thirds (66%) of Millennials work for an employer that offers a retirement plan, only slightly more than one-third (34.3%) of Millennials participate in their employer’s plan. There is a significant gap between Millennial Latinos and other racial and ethnic groups in terms of participation in employer-sponsored retirement plans. Only 19.1 percent of Millennial Latinos and 22.5 percent of Latinas participate in an employer-sponsored plan, compared to 41.4 percent of Asian men and 40.3 percent of Millennial White women, who had the highest rate of participation in a retirement plan. Four out of ten (40.2%) of Millennials cited eligibility requirements set by employers, such as working a minimum number of hours or having a minimum tenure on the job, as a reason for not participating in a plan. Hope for improvement for this generation stems from the fact that across all racial and ethnic groups, more than nine out of ten Millennials participate in employer-sponsored retirement plans when they are eligible to participate. Millennials face higher life expectancy, lower income replacement from Social Security, and are less likely to have a traditional defined benefit pension. This means Millennials must save significantly more than previous generations to maintain their standard of living in retirement. The Millennial generation – those born between 1981 and 1991 – is the largest generation, numbering 83.2 million. Millennials also are the most diverse generation in the U.S, thus, the structure of the defined contribution (DC) retirement system – which favors high-income workers and exacerbates disparities along gender, racial and ethnic lines – makes achieving a secure retirement an uphill climb for most Millennials. Additionally, this generation has faced a harsh economic landscape of depressed wages, high unemployment, and major structural changes in the American economy. Millennials will have to save more than earlier generations and their parents to address their unique retirement challenges. The report is based on an analysis of the 2014 Survey of Income and Program Participation (SIPP) data from the U.S. Census Bureau. It examines the distinct challenges posed by the current retirement system in America for working Millennials between the ages of 21 and 32. Specifically, it examines the access, eligibility, and participation in employer-sponsored retirement plans for Millennials; barriers to participation in employer-sponsored retirement plans for Millennials; retirement savings and adequacy of Millennials’ retirement savings; and retirement plan coverage of Millennials by the industry where they are employed. Expand DC plan eligibility for part-time workers. About 25 percent of Millennials indicate they were not eligible to participate in an employer-sponsored retirement plan because of their part-time status. 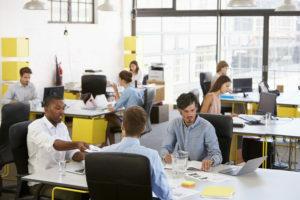 Reducing the 1,000 hour requirement to qualify for a year of service under the Employee Retirement Income Security Act (ERISA), especially for those working for an employer for several years, would allow part-time workers to become eligible to participate in employer-sponsored retirement plans – greatly increasing the number of Millennials saving for retirement. Reduce waiting periods for workers to become eligible for employer-sponsored plans. Most employer retirement plans require 12 months of service or less before an employee becomes eligible to participate in the retirement plan. Employers could choose to allow new employees to immediately contribute to a defined contribution plan from their own salaries as soon as they as they begin work, which would substantially improve Millennials retirement savings rates. Increase auto-enrollment. Vanguard found in 2017 that automatic enrollment in employer retirement plans made a large difference in plan participation, especially for Millennials. Only 56 percent of Millennials participated in an employer-sponsored plan with voluntary enrollment, but 92 percent participated in an employer-sponsored plan due to automatic enrollment. Automatically enrolling Millennials into an employer-sponsored plan could significantly improve the Millennial generation’s savings rate. Increase employer matches and default contribution rates. Most financial experts recommend that Millennials should target saving 15 percent of their salary to have an adequate income replacement when they retire. But, only five percent of Millennials are saving 15 percent or more of their salary. By increasing employer matches and increasing default contribution rates, employers can assist employees with early-in-career, lower-income savings. These early-in-career savings greatly increase account values because these dollars have multiple decades to benefit from compound interest and investment returns. Provide education to Increase awareness of the benefits of employer matches. According to the Society for Human Resources Management (SHRM), Millennials are less knowledgeable about employee benefits than previous generations. And, lower-income and younger employees are much more likely than others to miss out on at least a part of their employer match. In fact, 42 percent of plan participants earning less than $40,000 per year did not contribute enough to take full advantage of their employer matches, compared to only 10 percent of employees making over $100,00 per year. By explaining employer matches in plain English to employees through easy-to-understand examples or even interactive tutorials, employers and financial service firms can show employees just how much money they are leaving on the table and how contributing to receive the match is an instant return on investment in their retirement plan. Promote and educate Millennials about the Savers Credit. The Saver’s Credit is intended to promote tax-qualified retirement saving by moderate-and lower-income earners, but it is underutilized. By promoting this credit and educating Millennials about claiming the credit, many more Millennials can get an additional tax benefit for retirement savings. Protect and strengthen Social Security. Millennials will face cut-backs to Social Security benefits because of an increase in the program’s full retirement age to 67, and Millennials may face additional cuts if there are no adjustments to funding of the program. Social Security will be an important source of retirement income, given Millennials already are far off-track saving for retirement.